Does your job involve creating content? Then you're probably running software from Adobe. It's hard to match the power of Photoshop, the depth of InDesign or the intricacy of Illustrator – though Apple is having a pretty good crack at Premiere Pro with Final Cut. Dreamweaver is in a world of its own, and Flash can make iPhone apps (but Apple may be about to prevent this). 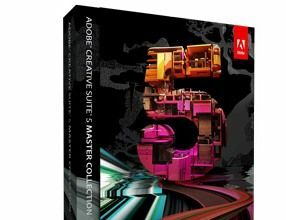 Creative Suite 5 is due out next month and as always, it comes in a choice of editions. We've had a thorough play with the popular Design Premium apps, so let's look at why you should be getting excited. Oh, and you can read a longer version of this article and find out what's new in the other CS apps in the June 2010 issue of MacFormat. Blemish removal like you've never seen it before – if only it was real life Photoshop has been around for 20 years now, and it's getting hard to imagine what more Adobe could add. But it always seems to come up with something, and CS5 is no exception. One of the cleverest features in CS4 was Content-Aware Scaling. This lets you change the proportions of a picture – say, a landscape – without squashing key features within it, such as people. It does work, with a bit of help, but if we're honest there aren't all that many occasions when it's actually needed. CS5 introduces a similar concept that we reckon will see a lot more use. It's called Content-Aware Fill. Select any area of an image (with the Lasso or any of the usual tools) and press ∫. You're offered various fill options, the default being Content-Aware, which does what you'd otherwise attempt with the Clone Stamp: borrows surrounding areas of the image to fill the selected area seamlessly. WOW: Content-Aware Fill completes a wonky image with no trouble at all – spooky! Does it work? Well, all right, not always. Sometimes it looks too far afield, so part of the foreground might get filled with sky; sometimes it behaves like a clone tool newbie, creating obvious repeats and leaving hard lines around edits. (You can help avoid the latter by feathering your selection.) And it can take half a minute or so to complete. So why are we excited about it? Because when it does work, it saves loads of time on a very common task. A quick drag and a click removes unwanted elements from irregular surroundings. You might have to fix a glitch here and there, but the donkey work is done. And it's not only good for patching over objects. When you've rotated a picture or stitched it together from multiple shots, you'll have an odd-shaped empty area around it. Instead of cropping this off, you can Content-Aware Fill it. This sounds mad, but often it works miraculously well, as you can see on the right. Although we've picked Content-Aware Fill as our most exciting feature of Photoshop CS5, it was a close race: Puppet Warp is a new reshaping tool that's more precise than Liquify, and HDR Toning creates stunning tone-mapping effects. The new Refine Edge tools may finally make it practical to cut out impossible subjects like wispy hair without third-party add-ons; the Mixer Brush brings wet blending to Photoshop for the first time; and for Extended users, Repoussè is a 3D extrusion tool reminiscent of Adobe Dimensions. Oh, and DSLR snappers not only get Adobe Camera Raw 6, but also smarter lens correction filters which can be profiled for any lens. For original artwork, scalable logos and eyepopping technical illustrations, vector drawing is an essential pro graphics skill. While Illustrator has never pretended to make it easy, it has offered a growing range of ways to bring life to your basic skeleton of vector paths. But the devil is in the detail: ironing out the kinks and achieving perfection can prove almost impossible – and vector artists are nothing if not perfectionists. That's why they're going to like CS5. Among its innovations is a bunch of ways to tweak what you've drawn. First among them is variable width strokes. It's long been possible to draw lines that vary along their length by applying a tapering brush. Now you can click to add width points to any path and drag handles to widen it at that point. Effects scale to follow. Dashes, arrowheads and complex brushes gain comprehensive controls, ensuring they stretch and repeat as you intended. And with 9-slice scaling, you can draw objects such as labelled buttons that scale intelligently: for example, preserving the roundness of corners and proportions of text while adjusting in length to fit another space. Flash is popular with graphic designers as a way to get into interactive media through their creative skills rather than from a programming background. But the more capable Flash gets, the harder it looks to newcomers. If you just want to make a simple animation that displays stuff when a user clicks buttons, help is at hand. Flash Pro itself comes with Code Snippets to help you do more without having to write your own ActionScript. And new to Creative Suite is Flash Catalyst, which adds interaction and animation to artwork you create in Photoshop, Fireworks (the graphics optimiser and web prototyper included with CS) and Illustrator, or indeed video from Premiere Pro and AfterEffects. The end result can be an SWF file or an Adobe AIR app, both compatible with a variety of platforms. Flash Catalyst lets you design interactive content without the code. It does have a code view for tinkerers; it also integrates with Flash Builder to add more technical functionality, such as accessing database content. And finally, it gets away from Flash Pro's timeline-based approach, which can confuse simple projects. Promising.